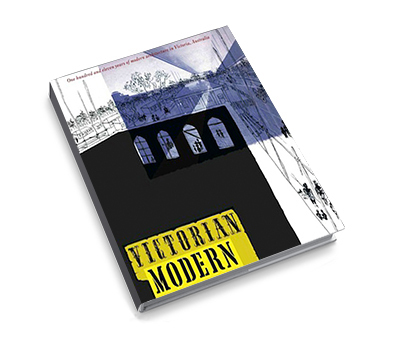 Out of print for over 60 years – Victorian Modern has now been republished by the Robin Boyd Foundation. Robin Boyd published his first book ‘Victorian Modern: 111 years of modern architecture in Victoria’ in 1947. Just before he died, in 1971, Robin Boyd was preparing to republish his first book, Victorian Modern. On the fortieth anniversary of his death, the Robin Boyd Foundation is pleased to complete the project.